Whats happening in your neck of the woods ? Been at the camp since December 21st I think. Haven’t been home, spent Christmas and my anniversary which was yesterday here. Not going home till after the morning hunt on the 7th. My wife must love me a lot and knows my passion is hunting. The rut of fixing to get going good as I’ve heard two bucks fighting and seeing new bucks every hunt. None are chasing and only seen a couple bucks bump a doe or two. The other day on the 30th, this buck came out and it was decision time. Knowing he was at least 3.5 and looking at his rack I decided to take him. 240# w a 18” spread 6pt. TEAM Rack Stackers aka THE WINNERS!!! Be Carefull of The Words You Say. Just Keep Them Soft, And Sweet. You never Know From Day To Day, Which Ones You'll Have To Eat. That is a toad of a 6 pt.. congrats ! That’s a good fat one! Congratulations!!!! VIETNAM 68--71 3RD MARINE DIV. DIE HARD CRIMSON TIDE FAN !!!!!! 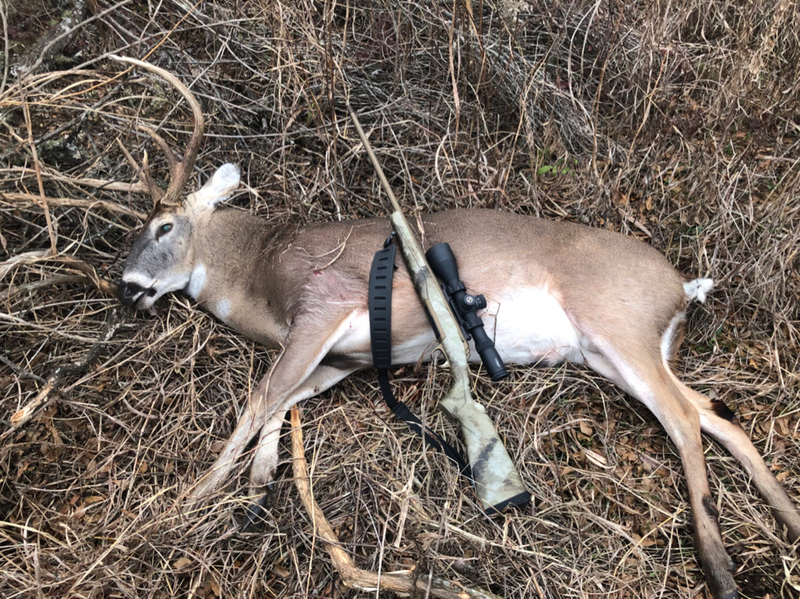 My son got a good one today 8pt. Scored 149 3/8. Congrats on a fine buck! This is the time of year I get the "deer blues". The rut is for the most part, done up here, and yall are just now getting started good. Congrats to him, That is an very nice buck! To Old to Grow up Now! Y'al, are killing me. I will be back at it next season. Taxi said our deer are ready for pickup. Heading out tomorrow to cut again and maybe make a hunt. Here is a pic my taxi sent.